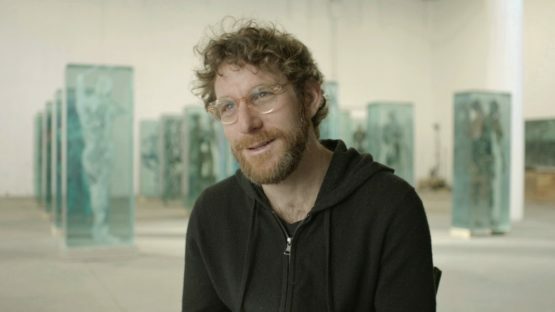 Dustin Yellin is an American contemporary artist, known for his sculptural paintings that use multiple layers of glass, each covered in detailed imagery, to create a single intricate, three-dimensional collage. His work is notable both for its massive scale and its fantastic, dystopian themes. Yellin is the founder of Pioneer Works, a non-profit institute for art and innovation in Brooklyn.